"The staff happily entertained our request." Have a question for Kalibo Hotel? "Highly recommend to spend at least few hours through its streets." Well-placed in the culture, sightseeing, beaches area of Kalibo city, Kalibo Hotel provides a most conducive spot for you to take a break from your busy days. The hotel is not too far from the city center: just 0.5 km away, and it normally takes about 10 minutes to reach the airport. Also within easy reach are Museo it Akean, Aklan Museum, Kalibo Cathedral. Offering hotel guests superior services and a broad range of amenities, Kalibo Hotel is committed to ensuring that your stay is as comfortable as possible. Top features of the hotel include free Wi-Fi in all rooms, Wi-Fi in public areas, car park, airport transfer, safety deposit boxes. All guest accommodations feature thoughtful amenities to ensure an unparalleled sense of comfort. Besides, the hotel's host of recreational offerings ensures you have plenty to do during your stay. Enjoy unparalleled services and a truly prestigious address at the Kalibo Hotel. "Easy place to stay, perfect hotel"
We had the Master Master Room (right above the entrance to the hotel) - the biggest one and it was clean, tidy, and the air conditioner worked really really great. We asked for the curtains/drapes to be changed to a darker color or thicker ones so that we could close it during the day to darken up the room so we could sleep. The staff happily entertained our request. My other family members had the Deluxe room. The staff was awesome. My only complain about the master bedroom, if any, is that someone was smoking in the adjoining room and the smoke/smell was seeping through the closed door. My complain about the other room which was opposite the master bedroom was that the door was not sealing properly, I could actually see the inside of the room through the gap on the door. The staff kindly added sealing pads on the door frame. Like I said...AWESOME STAFF. Gotta try their restaurant downstairs next. We had the Master Master Room (right above the entrance to the hotel) - the biggest one and it was clean, tidy, and the air conditioner worked really really great. My other family members had another room. The staff was awesome. We asked for the curtains/drapes to be changed to a darker color or thicker ones so that we could close it during the day to darken up the room so we could sleep. The staff happily entertained our request. My only complain about the master bedroom, if any, is that someone was smoking in the adjoining room and the smoke/smell was seeping through the closed door. My complain about the other room which was opposite the master bedroom was that the door was not sealing properly, I could actually see the inside of the room through the gap on the door. The staff kindly added sealing pads on the door frame. Like I said...AWESOME STAFF. Gotta try their restaurant downstairs next. The only problem with this hotel is that they have no restaurant. However there is a good restaurant, within a minutes walk, called Lorraine's Tapsi. Also McDonald's is only a couple of minutes away. Good value for money. Hotel room was very clean and comfortable. 10 to 15 minutes to Kalibo airport. Very close to main shopping area. The only problem with the hotel is that it does not have a bar or restaurant. However, within 2 or 3 minutes walk there is an excellent restaurant called Lorraine's Tapsi, which is a local restaurant so, our short stay at this hotel turned out to be excellent. The hotel's van to the airport costs 250 pesos, but one could go by tricycle for 100 to 150 pesos. Will definitely stay here again. Book the suite room if you can. 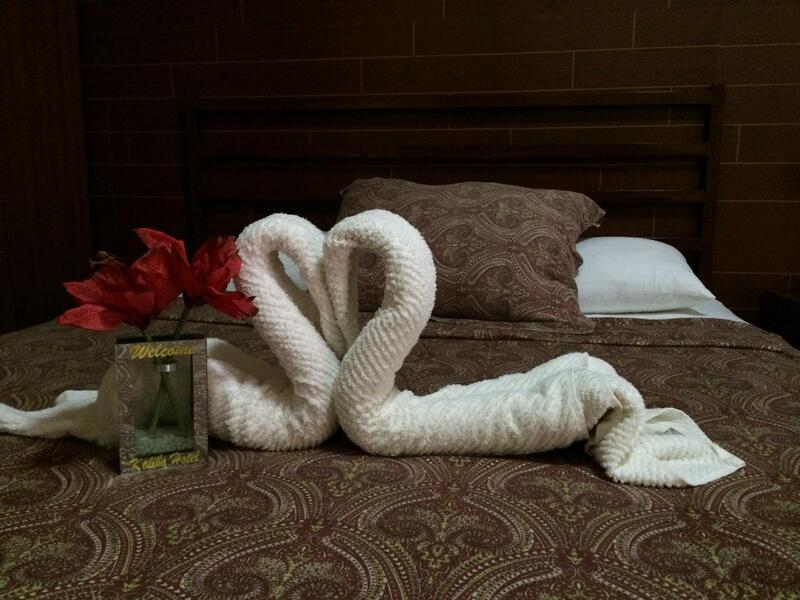 The hotel is located at a quiet place next to the small town. It is walkable to fruit stalls, market, and also Gaisano Mall. There's a great restaurant which is at walkable distance "Ramboy".The staff are helpful and friendly. You enquire cultural / site seeing trip at the counter. There are a lot of tricycle which you don't need to worry that you can't find one to go to the airport. But if you're flight is at midnight, the hotel can help you to book one. the reception staff is helpful. Suffering.not recommend to anyone unless no other Hotel in Kalibo. If you looking and expecting hostel type of accommodation should be OK but the room fare is hotel rate. not worthy to pay Hotel fares and actually is hostel. We stay in this hotel for only some hours to sleeping and then going to Boracay. In my mind hotel is just approached for one or two night staying in Kalibo. Its quiet but located in center of city, near by Macdonalds and Money changers. Also here located small markets. Rooms are small but cozy and clean. Staff is friendly, security have a gun for your safety.)) In room has aircon, shower and TV , all that needed for spending good night. Stayed for a night at this hotel to catch the earliest flight to manila routing back home. 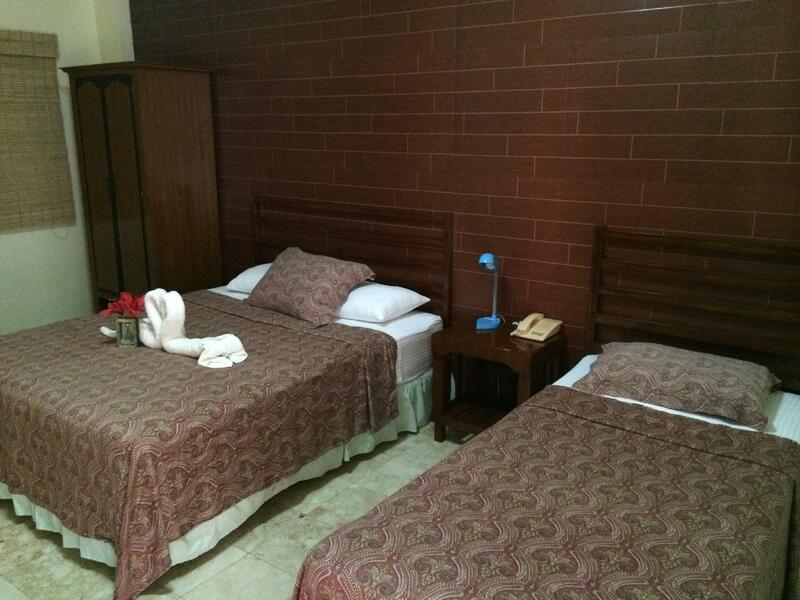 A spacious room for three persons and there is nice local food restaurant just across the road. Only 10 mins trikes ride to reach airport. Me and the wife stayed for almost a month at the Kalibo hotel. The hotel had a generator which was a plus since due to humidity is hard to sleep without air-conditioning. The staff was friendly and always willing to help you with any questions or request. I would recommend this hotel to friends and family. 3 reasons to say don't go to this hotel: (1) Lack of hospitality. I (2)Noizy. You can hear the sound of TV from the room next door. It is not funny when you arrive there at 1am after a long-distance travel. (3) Ants are your roommates. Look who welcomed me instead of the hotel clerk! They were forming a long line in the bathroom, hovering around sugar in the coffee set. The toilet and the shower was clean so it was a pity to see this. Fast internet connection, very friendly staff & very centrally located hotel that is also very clean. Me and a girlfriend stayed a nite before catching a bus to Caticlan enroute Boracay. As it was our first trip to Philippines, we weren't sure of logistics on where to get to catch a bus to Caticlan. The head staff (who's possibly the boss) was extremely helpful. She walked us to the bus stand, which is a stone-throw from the hotel and helped us get a van to Caticlan. As Kalibo Hotel does not serve food, she guided us to Lorraine's Tapsi, a small garden restaurant pub just across the street from the hotel to order our breakfast. Lorraine's Tapsi is a must-try for it serves very nice and cheap local dishes and beers. A short walk just down the road from Lorraine's Tapsi is a petrol station with a mini mart (like 7-eleven) that sells cheap drinking water and other dry food. Do note that Kalibo Hotel does not provide drinking water, so you can either buy it from the hotel or take a 7-mins walk to the mini mart to buy your water at a slightly cheaper price. All other basic amenities are provided. Overall it was a pleasant stay and if I were to return to Kalibo, I'd stay at Kalibo Hotel again as it's really convenient to get around and it's centrally located at the small sleepy town of Kalibo. Very simple hotel not much amenities. A good transit point if your flight in is late at night or departure is early in the morning. 10 mins to airport by tricycle or van. Macdonald is within walking distance. Not much to see and do in Kalibo as of now. Our flight was @ 8.15am & we need to reach airport 2hrs priority. As Travelling from boracay to Kalibo airport & reaching @ 6.15am is impossible for us. We chooses to stay a night in Kalibo. 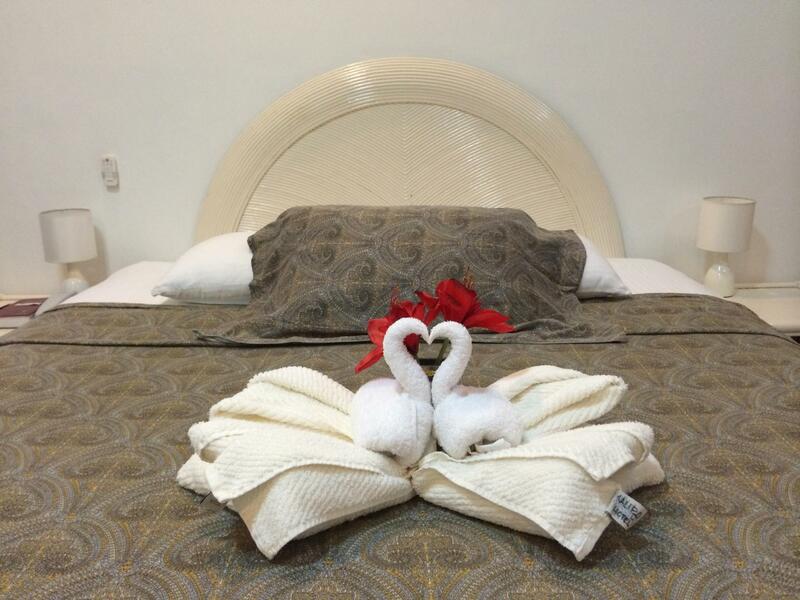 Came across Kalibo hotel thru agoda & after comparison of reviews, decide to choose this hotel. Really friendly staff, helping us to order food as it started raining very heavily & we wasn't able to go out. Helped us to book car to go to airport. Heated our McDonald meals that we ordered extra e night before for breakfast, in e early morning 5.30am before delivering it to our room. Helped to take our luggages, etc.. Clean & really big rooms with bathtub although we didn't use. Will visit boracay again & if there's a need, will definitely choose Kalibo hotel again. 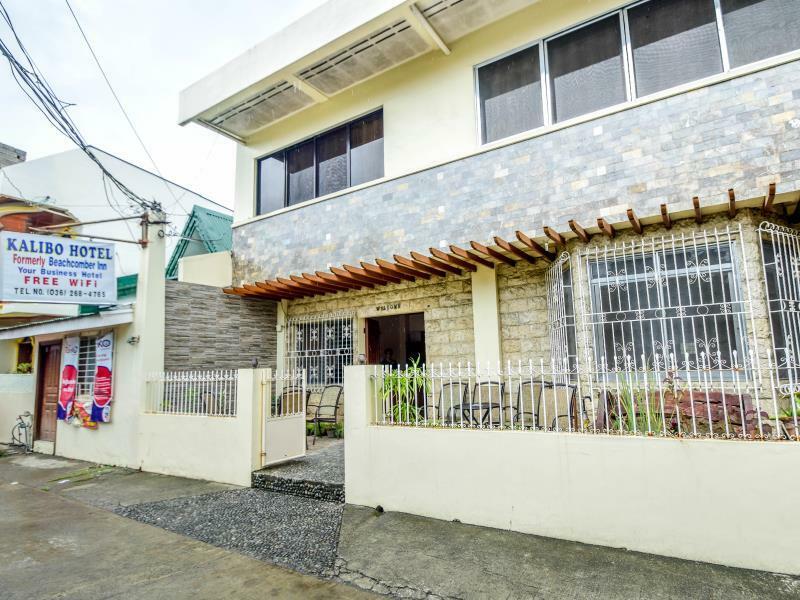 Centrally located in Kalibo and easy to get a ride from the hotel going around the city. It is only an overnight stay with my family and nothing fancy about the hotel. They dont serve food and the next best thing you can do is call for a "delivery service" from McDonalds and other food outlets with delivery service. Staff were kind enough and very accommodating to lend us an "electric fan" as air-conditioning unit installed in the room is not enough to make room temparature cool enought for a good night sleep. We arrived late night and headed straight to the hotel from Kalibo airport. The 10 mins tricy ride was nice and clam, perhaps a bit surreal quiet coming from city. Hotel staff was very friendly and helpful we needed no time to work out our direction for the next day traveling to Boracay. 10 mins walk to market area where we had breakfast. Van station just 1 min around the corner. Travel tip: 2.5hrs public van trip to Caticlan port, I asked if it is aircon, the driver said yes, twice! It was cheap but a problem come summer. a faster one which has AC ON cost slightly more at a different station, it is not difficult to work out by its outlook or take the bigger bus. Newly refurbished hotel that is very neat. very near to Kalibo airport so you can stay if you will arrive at night before going to caticlan or have an early morning flight back. seemed like a house so you can hear the noise outside the street but it's just ok. Stayed here 1 night before catching a flight out of Kalibo. They let me do late check out to kill time until my flight. The place had good air conditioning, a comfortable bed, was clean, and had hot water. Would recommend this place if your in Kalibo for a few nights. it was a short stay before heading to caticlan but worth what i paid for. Old but clean with very accomodating staff. Staff called our driver saying we left saomething on our room, we head back and it was our snorkeling mask that was left under the bed. Great service! nearby restaurant was closed when we arrived being a public holiday but the hotel staff were very friendly in providing us kitchen utensils and hot water to make our coffee and have our snacks. kudos to miss fe & her staff.